Epsom salt is a combination of magnesium and sulfate. It is an inorganic salt known for various benefits. The chemical name of epsom salt is magnesium sulfate. Magnesium and sulfate are known to break when the salt is soaked in water and can get into the body through skin. It can help soothe and relax muscles and relieve pain. 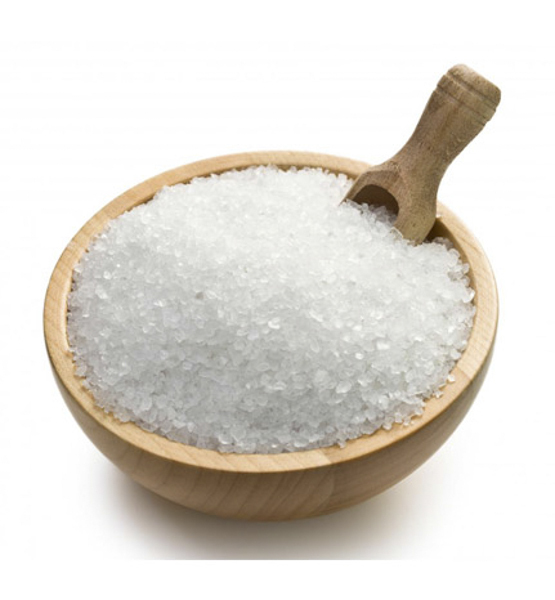 The two main components of epsom salt, magnesium and sulfate are both good for various purposes. Magnesium provides a natural aid for removal of toxins from the body whereas sulfate helps in digestion. The two minerals benefit with their anti-inflammatory and exfoliating properties that can be of great help for the overall body. Epsom salt is used for detoxification by taking warm baths. It is also used to drink to treat digestive problems. Epsom salt is also used to treat infections as soaking an infected toe can relieve the pressure of the infection. It will also help to draw out the pus from the infected toe. It will be good to know that epsom salt also helps in losing weight and you may achieve your weight loss goals by using it as a detoxifier or a drink. Epsom salt can be taken as a soaking agent or as a drink. 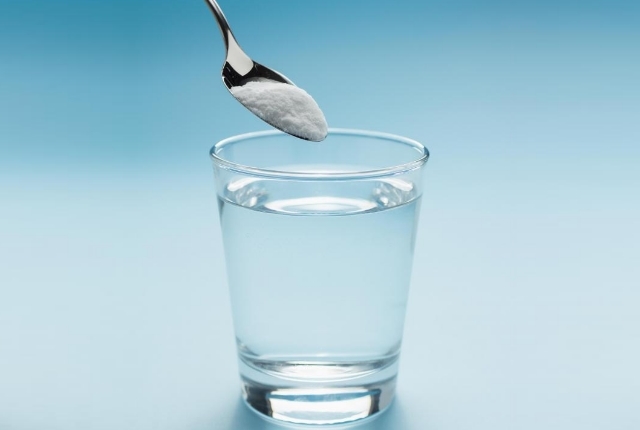 For drinking purpose, one dose of the salt should be dissolved in 8 ounces of water to make a dilute solution. Magnesium sulfate is known for its beneficial properties for health. An epsom salt detox bath can have more benefits than drinking it up. The two main ingredients have the capability to remove toxins from the body and relieve pain and indigestion. Epsom salt can exfoliate skin by removing all the dead cells leaving a sifter and smoother skin to love. It can also be helpful for skin diseases such as eczema and psoriasis. Epsom salt can ease the pain for people suffering with inflammatory disease such as arthritis and gout. Magnesium can effectively remove toxins from the body and reduce swelling and stiffness of the joints. It has beneficial properties for treating inflammation of the cells. Magnesium levels can also boost brain health and help in inducing sleep and reducing stress levels. People may find themselves overwhelmed after taking a bath with epsom salt as it has several mental and physical benefits. A warm bath can be of great help to soothe the muscles and give relaxation feeling. Epsom salt has been proved helpful in treating infected toes and athletes feet. Soaking feet in a bath tub of warm epsom salt water will help relieve itching and heal the feet faster. It will also help to reduce the odor of foot effectively. Adding in a few drops of lemon will further add a fragrance to the epsom salt bath. While it is not able to treat infections, it will certainly draw out the infection to help soften skin and boost the effects of medicines. Soaking the affected area in an epsom salt bath can soften the splinters and help them remove easily. If is difficult to remove them otherwise as they may be stubborn and have to be pushed further into the skin for removal. Is it Safe to Drink Epsom Salt? Epsom salt is safe to drink in small doses as it may cause reactions within the body. There is not much evidence to prove the effectiveness of drinking epsom salt for detoxifying the body. Epsom salt contains laxatives that can help in relieving constipation. People opting for epsom salt drink should first consult with their doctor as the salt may react with medications adversely. It should also be noted that epsom salt can inly be taken orally if the drink is diluted with enough water. Moreover, lemon can be added to the drink to enhance the taste. It is only safe to drink in small doses of up to 2 or 6 teaspoons per day. Do not exceed the limits as epsom salt may react adversely on the body. What are the Risks and Side Effects of Epsom Salt? Too much of anything is harmful as the moderation key can help you achieve healthy targets in life. Same goes foe epsom salt as using too much of it will only cause harm to your body. The side effects of using higher doses of epsom salt can be life threatening. So, it is better to use the recommended dose on the pack label or as prescribed by the doctor. Most doctors do not advise on drinking epsom salt as a detox drink as it will only lose the weight of water from the body. The weight lost will be regained just after you stop drinking epsom salt which is of no use seriously. Moreover, drinking epsom salt may cause diarrhea as it contains laxatives which will worsen digestion if used regularly. Also, epsom salt is not safe for pregnant women, children, and people having kidney problems. Some of the side effects of epsom salt include blurry vision, fatigue, dizziness, breathing difficulty, slow heart rate, weak muscles, and urine changes. Therefore, using epsom salt as a detoxifying agent is more suitable than using it as a drink. People using it for detoxification have experienced many benefits such as relaxation and pain relief. Epsom salt can react with the body to cause irregular heartbeat and sweating. All these reactions should be taken immediate action for so as to save your life. Many reactions can be threatening to your life and it is better to consult a doctor before using and taking directions on how to use it safely. How to take Epsom Salt Bath? It is recommended to purchase epsom salt which is labeled safe for human use. The pack should have all ingredients and drug information mentioned to provide the user with all facts about the product. Two cups of epsom salt should be mixed in a bath tub of water. The salt will dissolve quickly if it is added under running tap water. A person can soak in the epsom salt water bath for 15 to 20 minutes for which they should avoid using soap. Using soap will not let epsom salt have its effect on the body. Let yourself rest for about an hour after taking a detox bath and then take a shower before bedtime. This will help you have a good and relaxed sleep with all pain relieved. How can Essential Oils be Useful? Essential oils can be added to the epsom salt water bath to enhance the healing effects. You may add olive oil for its antioxidants properties but you should take care of slipping. You should not use it for people who are likely to fall or slip because of the oil. Therapeutic oils can add a relaxation effect to the water bath as many spas use the same technique costing really high amounts. Some of the essential oils include lavender, vanilla, eucalyptus, frankincense, and bergamot. Why to Use a Carrier Oil? A carrier oil may help dilute these essential oils as it is recommended to do so before applying to the skin. Carrier oils can be olive oil, coconut oil, or almond oil. You may add only a few drops of the essential oil to have a lasting effect as only a little will go a long way. Moreover baking soda is known for its anti fungal properties which will also help in reducing itchiness and irritating germs from the skin. It will help soften the skin and give you a good feeling overall.